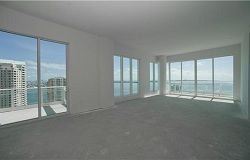 New construction condos in Brickell offer the latest in luxury, features and amenities. While the pace of new construction has slowed somewhat in the past few years, nearly 20 new condos in Brickell have been built since 2005. Newer condos in Brickell range from waterfront condos on Brickell bay Drive and Brickell Key to inland condos all around Marry Brickell Village's many restaurants, bars and shops. No matter what you are looking for, the Forster Team can help you find the best new condos for your needs and budget.